Barcelona player Philippe Coutinho will be out of action for two to three weeks due to a muscle tear, Spanish La Liga giants Barcelona announced on Thursday. The 26-year-old sustained the injury on his left leg during Barcelona’s UEFA Champions League draw with Inter Milan on Tuesday. 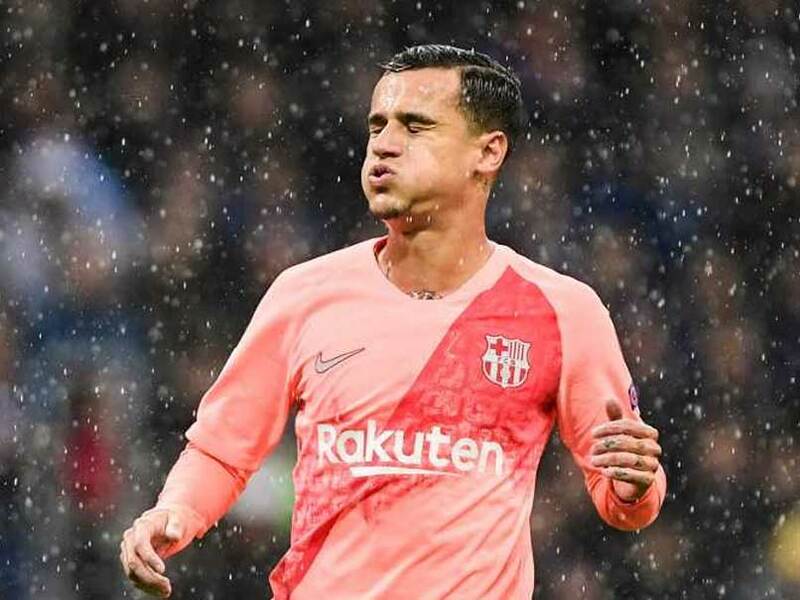 With an injured hamstring, Coutinho will now miss the upcoming home La Liga clash against Real Betis at Camp Nou stadium in Barcelona on Sunday. “Tests undertaken on Thursday morning have confirmed that Philippe Coutinho has a small rupture in the femoral biceps of his left leg,” the club’s statement read. Coutinho will also miss Brazil’s friendlies against Uruguay and Cameroon slated to be held on November 16 and 20 respectively. The Brazilian could potentially also miss Barcelona’s match against Atletico Madrid on November 24 and the next Champions League game against PSV Eindhoven on November 28.